Isaac Peifer, Eagan: Peifer tallied seven assists and four goals in Eagan’s 23-0 shutout of Farmington on May 10. Jack Arvidson, Hastings: Arvidson found the net three times and assisted on four other goals in Hastings’ 17-8 win over Northfield on May 11. Talon Heath, Elk River/Zimmerman: The sophomore posted four goals and three assists in a 19-9 throttling of Robbinsdale Armstrong on May 7. He followed that performance by leading the Elks to a pair of single-goal victories over Champlin Park (10-9 on May 9) and Maple Grove (11-10 on May 11). He recorded points on nine of the Elks' 21 goals in the two-game stretch. Tommy McGuire, Stillwater: McGuire led the Ponies to a 13-2 romping of White Bear Lake on May 7. He scored five goals and added two assists. Tyler Braccini, Buffalo: The sophomore scored four goals and tallied five assists in the Bison’s 21-0 shutout of Hutchinson on May 8. He added another 11 points in wins over Sartell/Sauk Rapids (19-5 on May 10) and Holy Family (20-6 on May 11). Lars Rostad, Anoka: The freshman goalie was vital in helping Anoka record its first win of the season. He stopped 28 of 33 shots in an 11-5 victory over Spring Lake Park on May 9. Sean Mark, Roseville: Mark netted eight goals and two assists in the Raiders' 22-8 demolition of Providence Academy on May 12. Jack Mohler, East Ridge: Mohler scored three goals and distributed five assists in East Ridge’s 16-9 victory over Simley on May 12. Kenneth Johnson, Owatonna: Days after leading Owatonna to a 6-5 win over Northfield, Johnson stopped all 15 shots he faced in a rematch with the Raiders. His stalwart effort in net helped Owatonna claim a 12-0 shutout victory over its Big 9 Conference rival. 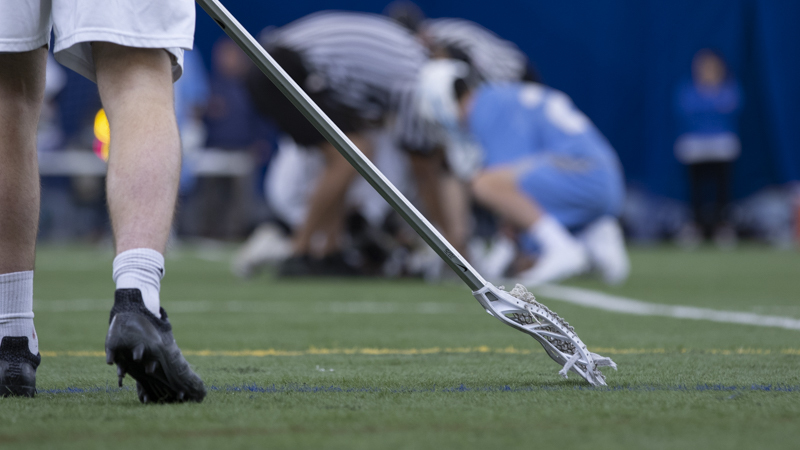 Grant Glazier, Park of Cottage Grove: Glazier, a Lindenwood University commit, scored seven goals and dished four assists to lead the Wolfpack to a 15-10 victory over Mounds view on May 10.